Great accessory for any Pink Ribbon themed event or costume party! Show your support for breast cancer awareness with this hot pink wig. These wigs are the perfect way to host a Pink Ribbon event. Sponsor a pink walk or run and encourage participants to wear all pink. 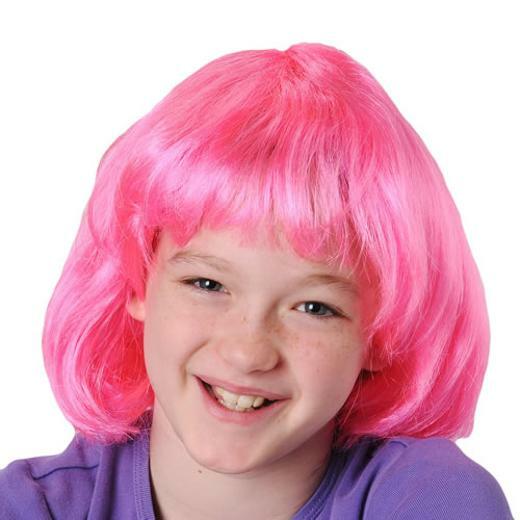 These wigs are a great way to kick your fundraiser event into high gear. These wigs are also fun for dress up, pretend play or to complete any Halloween costume such as a pop star. L: 9.25 in. W: 1.45 in. H: 11.25 in.